The competition is a proven lead generator in its own right. You can use the competition to thank your clients for doing business with you and as an incentive to refer business to you. We have many strategies to suit your business and personality. How to use the competition as a lead generation strategy? The only limitation of this strategy is your lack of ideas. But we have lots! For less than half the commission of ONE loan, you will have the best lead generation system for mortgage brokers today. Our exciting new competition is open now! 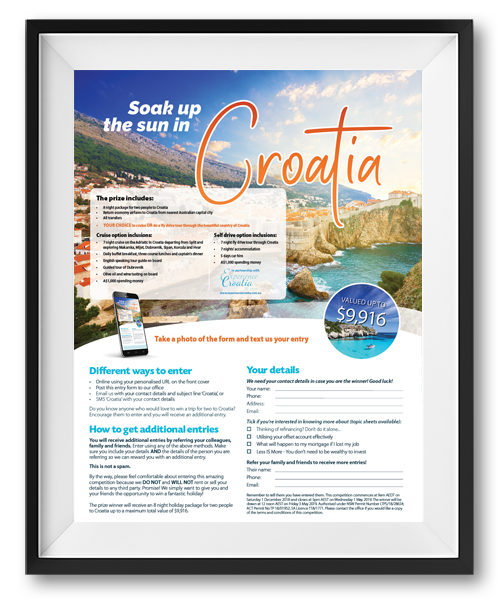 You will be going into the draw to win a 8 night holiday package for two (2) people to Croatia to a maximum total value of A$9,916.00. Terms and conditions apply. This competition commences at 9am AEDT on Saturday 1 December 2018 and closes at 5pm AEST on Wednesday 1 May 2019. The winner will be drawn at 12 noon AEST on Friday 3 May 2019. Authorised under NSW Permit Number LTPS/18/28654; ACT Permit No TP 18/01952; SA Licence T18/1771. Please contact the office if you would like a copy of the terms and conditions of this competition. 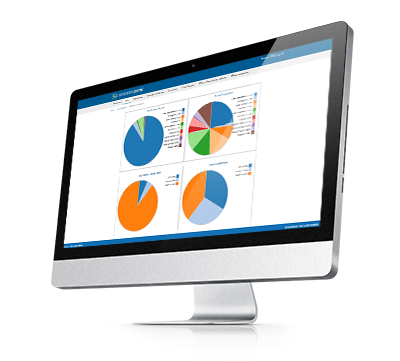 Gaining referrals couldn’t be easier with our PURL technology! You would have heard of a URL (Uniform Resource Locator)… We bring you a PURL (Personalised Uniform Resource Locator) for your clients! 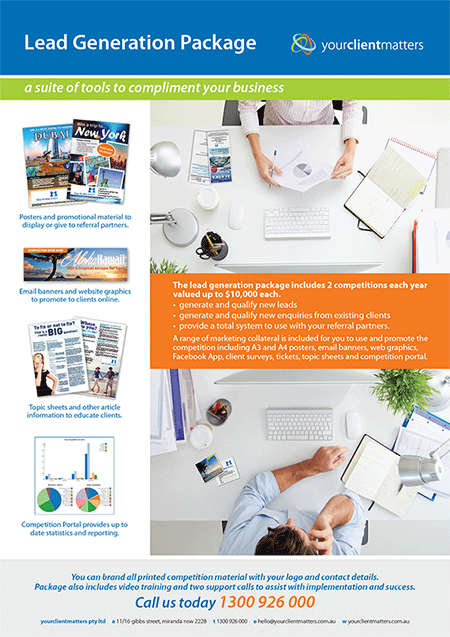 Your magazines are delivered with a special personalised website link that takes them to your competition website. This website has your logo and contact details and allows us to collect data and gain feedback from your clients about the magazine, competition and other services. This allows us to respond by providing the readership (your clients) with articles that will interest them. We’ve had a great response and feedback already from this current competition. The responses from your clients are emailed directly to you! Click the image below to see how this amazing technology works. Clients simply complete the form with their details and their referred friend or family member and submit their entry. The referred friend or family member details are then emailed to you to allow you to contact them in relation to their financial position.